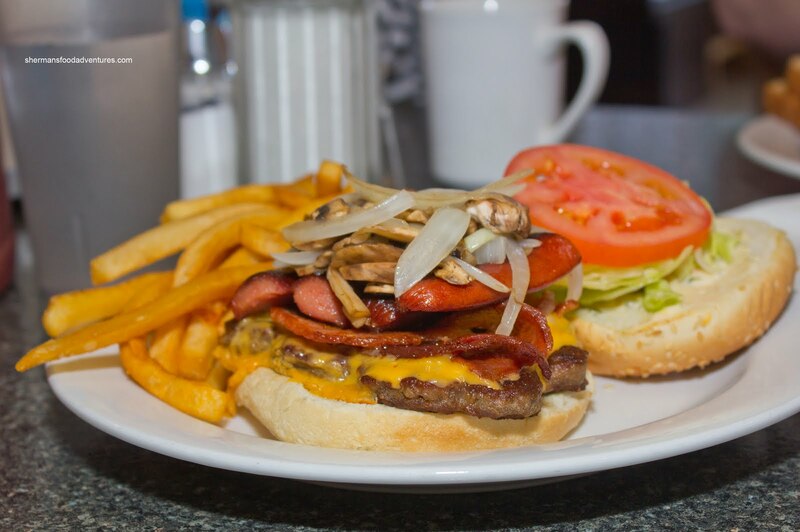 It is no secret I love diners. Something about them. Is it the simplicity of the food? Or maybe the friendly staff who usually make you feel at home? Could it be the value or the ripped booth seating? Possibly the attractive plastic plants? The layer of dust on the banisters? Or maybe I watch triple-D's too often? Yah, that could be it. I suppose Guy Fieri has influenced me to a degree. I gotta admit it, despite some suspect-looking food on the show, the places he visits do have character. Of course a restaurant cannot get by on character alone (or least it shouldn't, but then again, look at The Elbow Room...). 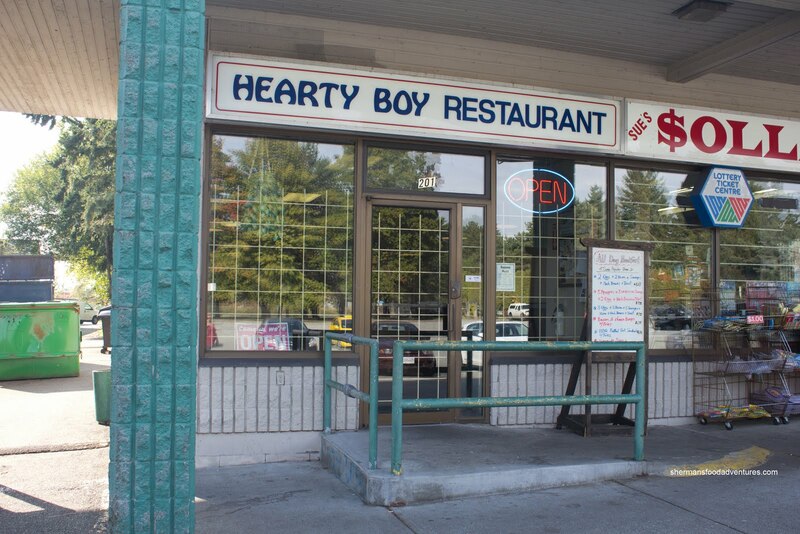 So my love for diners a nd dives led me to Hearty Boy Restaurant out in Newton. 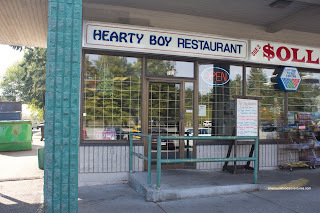 Tucked in an expansive strip mall with far too much parking (which is completely opposite of what you'd find in Richmond), it is actually located right next to Akashi-Ya, where I've eaten before and didn't even notice Hearty Boy! Well, to tell you the truth, there is nothing much to look at. The place is a typical dive/diner. It is run by a nice Asian couple who are extremely friendly. We put in an order of various items which they busily prepared for us while we soaked up the ambiance (LOL). Mrs. Spray Bottle decided to have the 2 Eggs and Bacon. Breakfast is such as simple thing to prepare, yet it is amazing how it can be butchered by some people. Not here though, it was done with care. 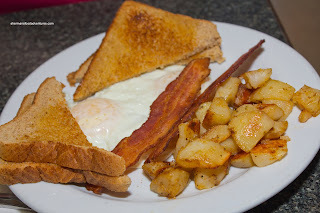 The eggs were perfectly easy-over while the bacon was uniform and crisp. Home fries were aesthetically-pleasing and were crisp while soft inside. For myself, I couldn't merely have a breakfast and call it a day... So I went for their Works Burger which included a beef patty, cheese, bacon, sausage, mushrooms, onions, tomato and lettuce. The burger was not bad, if not pretty generic. Basically, it was WYSIWYG. I eye-balled all of the components and the burger essentially tasted like what I visualized. The patty was a touch dry though while the fries were fried up crispy. Good price at $6.95! 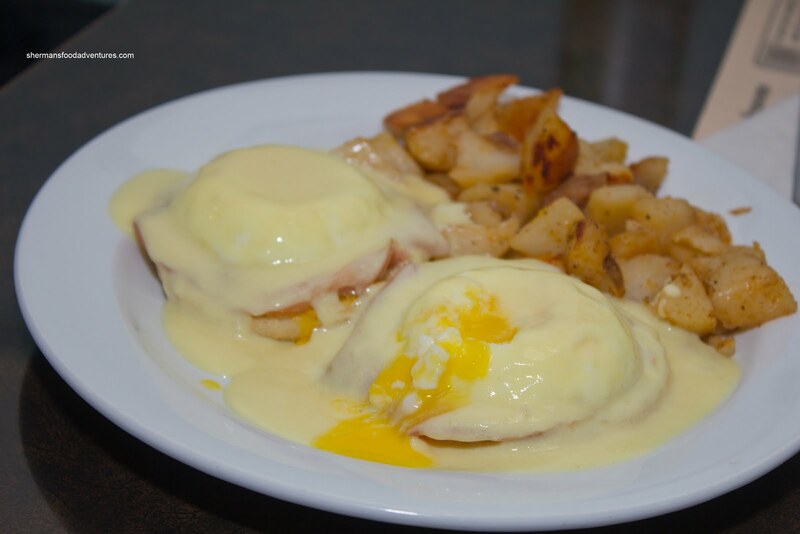 Not sure what possessed us to order the Eggs Benedict here, but we did it anyways. Predictably, it was mediocre. The eggs were fine though as you can clearly see. However, the Hollandaise was kinda gross. It had a weird texture and didn't taste like anything (I'm thinking this was powdered mix). If I were you, I'd stay away from this. 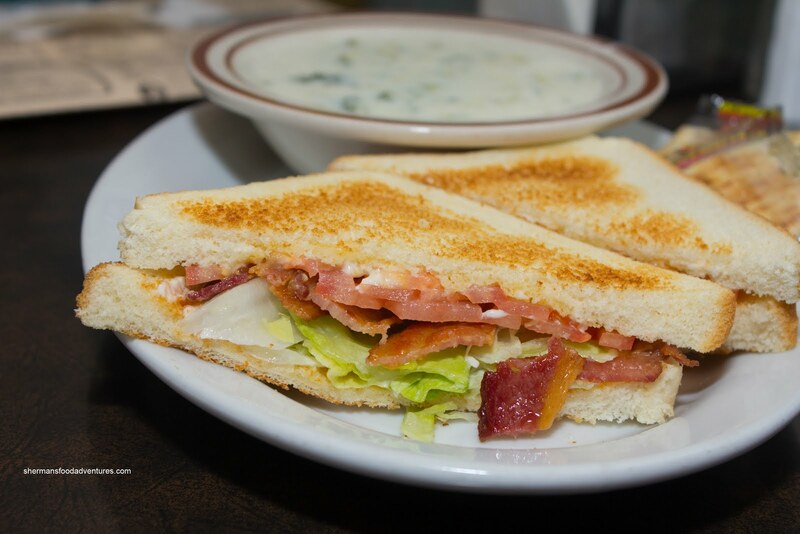 The last thing we had was the BLT, which was well, a BLT. Toast was browned nicely, bacon was crisp, tomato and lettuce fresh. As you can see, nothing amazing here and really, we weren't expecting as much. What we did get was cheap eats which was more than edible (except for the Eggs Benny). Coupled with a hard-working couple who treated us like real customers (unlike some other more expensive places), then we could overlook some of its shortcomings. - Ambiance? Well, did u expect any?